Research into diseases that are difficult to treat and manage is essential. Validating therapies in clinical practice is just as important. ‘In paediatrics, in particular, non-invasive and highly-sensitive techniques for assessing the efficacy of treatments will become increasingly significant’, says Dr. Adrian Regensburger who is a doctor at the Department of Paediatrics and Adolescent Medicine at Universitätsklinikum Erlangen and who was recently presented with the ‘Young Investigator Award’ of the European Molecular Imaging Meeting 2019 (EMIM) in Glasgow for his work in this context. The jury particularly praised the innovatory value and method selected by Dr. Regensburger on the topic ‘Non-invasive Translational Molecular Imaging in Duchenne Muscular Dystrophy’. If a child is suffering from a genetic muscular disorder, it’s likely that they are suffering from Duchenne muscular dystrophy (DMD). The disease affects only boys and is characterised by weakening of the muscles in the pelvic area and thighs at a young age. The disease is caused by a mutation of the dystrophin gene that prevents dystrophin from being produced in the body. The lack of this protein leads to muscle weakness and muscle wasting, ultimately affecting the joints and the entire skeleton. Sooner or later patients become dependent on a wheelchair and their life expectancy is less than 30 years. Up to now, treating Duchenne muscular dystrophy has been limited to treating the symptoms only as there is no cure, even if new approaches in gene therapy are promising. However, the efficacy of these new medications is only based on clinical function tests. This involves identifying potential biomarkers that can predict muscle degeneration in its early stages, the progression of the disease and the efficacy of gene therapy or show changes as a result of therapy. Even if studies using magnetic resonance imaging (MRI) have shown promising results, the limitations of this technique predominantly affect very young patients. To improve therapy monitoring for the boys affected, Dr. Adrian Regensburger is conducting research into the symptoms of the disease in the working group of Dr. Ferdinand Knieling (Pediatric Experimental and Translational Imaging Laboratory) and is working on the development and validation of new imaging methods. The aim is to record the efficacy of these therapies. In conjunction with Prof. Dr. Maximilian Waldner, who is a doctor at the Department of Medicine 1– Gastroenterology, Pneumology and Endocrinology (director: Prof. Dr. Markus F. Neurath), Dr. Adrian Regensburger and Dr. Ferdinand Knieling have been using multi-spectral optoacoustic tomography (MSOT) on children for the first time. MSOT is a modern non-invasive biomedical imaging method that allows biological processes to be displayed in real time. This method is similar to a conventional ultrasound scan, but enables the imaging of specific chromophores such as the red blood pigment haemoglobin. In the current translational study using methods starting with experiments using tissue and large animals to clinical use on children, the technology was used to demonstrate the changes in connective tissue in DMD patients as the disease progresses and to try and find a connection between these changes and the clinical medical condition of the patient. ‘I am extremely pleased about the award and the academic and clinical recognition of our work that it represents’, explains Dr. Regensburger. 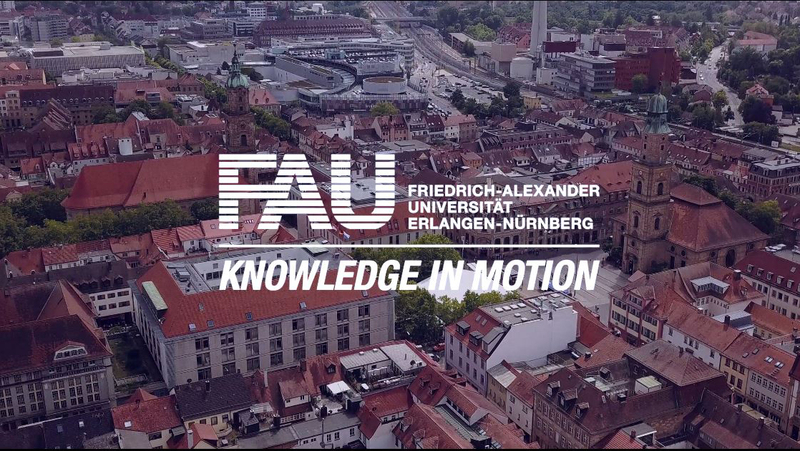 ‘This recognition motivates us for upcoming research projects.’ The current project has also received funding from the Else-Kröner-Fresenius-Stiftung.